There is good news for the citizen of Tromsø, the capital of Northern Norway. 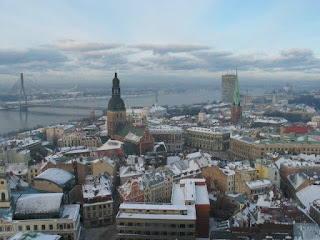 From March 30th they may fly non-stop to Riga three times a week. The airport have three international non-stop flights. The service to Arkhangelsk and Murmansk is operated by Nordavia while the non-stop flight to London-Gatwick is run by Norwegian Air Shuttle. The latter has not been a success, and Norwegian Air shuttle is considering shutting down this service. It is AirBaltic that will start this new service, leaving Tromsø Airport every Monday, Wednesday and Saturday, returning from Riga every Tuesday, Friday and Saturday. The air carrier will use a Boeing 737-500 on the 2 hour and 30 minute flight. 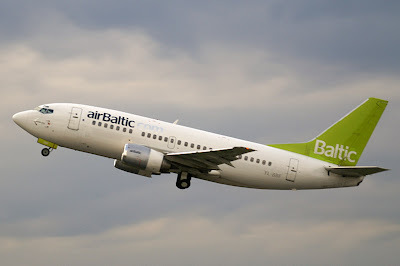 Air Baltic is expanding in Norway and is currently running non-stop flights to Riga from Oslo, Stavanger and Bergen Airport.